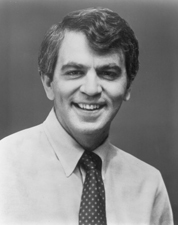 Place of Birth: Lowell, Massachusetts, U.S.
Place of Death: Lowell, Massachusetts, U.S.
Paul Tsongas was an American politician. A member of the Democratic Party, he served as a Member of the U.S. House of Representatives from Massachusetts, from January 3, 1975 to January 3, 1979, and a U.S. Senator from Massachusetts, from January 3, 1979 to January 2, 1985. He was a candidate for the Democratic Party’s nomination for President of the United States in 1992. Paul was the son of Katina (Panagiotopoulos/Pappas) and Efthemios George Tsongas. His father was a Greek immigrant. His mother was also of Greek descent. He was married to Niki Tsongas (born Nicola Dickson Sauvage), who was a Member of the U.S. House of Representatives from Massachusetts from 2007 to 2019. They were married until his death. He had three children with Niki. Paul’s paternal grandparents were George Tsongas and Basiliki Balafas. Paul is one of two people of Greek descent to have run plausible or semi-plausible campaigns for a major party’s nomination for President of the United States, and was the second person of Greek descent to have won a major party’s presidential caucus and/or primary, having won 7 in 1992. Michael Dukakis, who received the Democratic Party’s nomination for President of the United States in 1988, was the first; he won 30+ caucuses and/or primaries. Spiro Agnew, whose father was of Greek descent, was elected Vice President of the United States in 1968, was re-elected in 1972, and served in the position from 1969 until 1973. Vice President Agnew was a Republican.